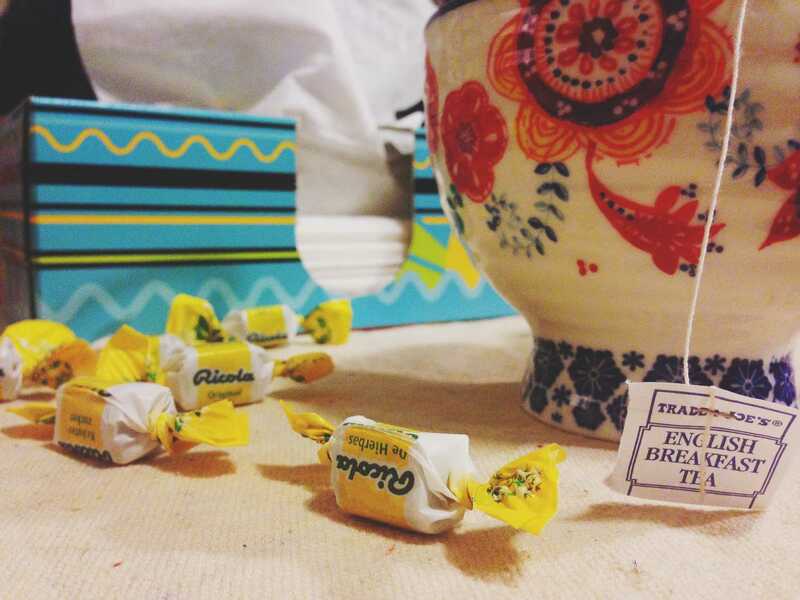 Tea and cough drops can help ease cold symptoms. It’s that time of year again — time for peppermint mochas and Michael Buble’s Christmas album paired with runny noses, itchy eyes and throats full of phlegm. Everyone is coughing during lecture and dropping out of discussion section like flies to curl up in bed with a box of tissues. Yep, it’s winter all right. A few days ago, my roommate and I realized it was the first time since we got to Northwestern that neither of us were sick. What followed this realization was a really terrible high-five and a recap of what we did to finally get better. While you might not realize it, going out every Friday and Saturday (and Wednesday and Thursday for some) is incredibly taxing. You’re walking outside in the cold, going to a crowded, sweaty basement full of germs, drinking from dirty cups and going to bed at four in the morning — a recipe for disaster. This weekend, get some friends together to have a movie night or order some yummy takeout as a treat. Trust me, there will be plenty of parties in the future to make up for your absence. Think zombie apocalypse. If you don’t stay away from them, they will eat your brains. In other words, hanging out with your sick friends means you will definitely get sick in the next few days. It might be difficult to stay away from your sick roommate or good friend, but at least don’t share drinks or promote him or her to No. 1 cuddle buddy. No, I don’t mean practice your best Blue Steel for the upcoming “America’s Next Top Model” season. Instead, try out a yoga class in the gym or even look up some yoga videos and follow along. Not only will it be a nice break from homework, but you’ll also feel more relaxed. If yoga doesn’t float your boat, any exercise will do. Go on a run by the lake with a friend or hop on a bike — anything to get yourself moving. We all hate going to the doctor, but sometimes you just need to make that extra push. If you’ve been sick consistently for more than two weeks, or something feels particularly wrong, take the time to trek across campus (maybe that’s only a trek for me) and see a doctor. You may be dealing with something more serious than a cold that you are not aware of, so the sooner you go, the better. And while you’re there … GET YOUR DARN FLU SHOT. By this, I mean take naps. Please don’t throw a toddler tantrum in order to stay healthy and then blame me when it doesn’t work. If you can’t get to bed early because of homework, try to wiggle in some naps between class or homework assignments throughout the day. Without rest, your body won’t be able to combat all of those germs floating around. Set an alarm on your phone, and nap on.